In fact, the company just sold its 9 millionth car in the United States. When Subaru first started selling cars in the United States back in 1968, few people could have predicted how the plucky Japanese automaker would eventually thrive. 50 years on and Subaru has just hit a major milestone by selling its nine millionth car in the US. The owner of the car is a doctor, who purchased the 2018 Crosstrek at Adventure Subaru in Arkansas. As Subaru commercials like to point out, the doctor was a repeat to the Subaru brand. The owner was surprised by a special delivery of the vehicle with a celebration attended by the dealership owner and staff as well as Subaru of America representatives. 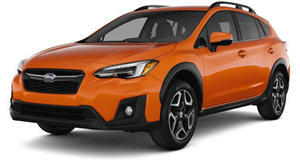 The car's owner, Dr. Hershey Garner, said “I’ve been waiting for the right Subaru to come along and found the perfect one on Adventure Subaru’s website, the 50th Anniversary Edition Crosstrek. It has all the features I was looking for, and the color and size are the perfect fit.” Dr. Garner is also the proud owner of a 2005 Subaru Baja, and will now add a Crosstrek to his driveway. Subaru's nine millionth sale comes just months after selling the in the US. Though Subaru models look more like wagons than most SUVs, US consumers can't stop buying them. The Crosstrek just had its best March ever for sales, with an 88.2% increase over the same month in 2017. Subaru is also the only manufacturer in the US to achieve nine consecutive years of record sales and 10 years of consecutive growth, which are some impressive achievements.